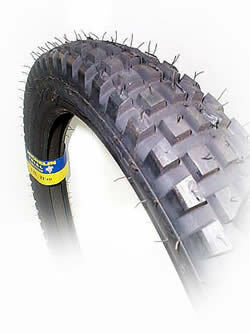 Supple casing and rubber compounds provide excellent shock absorption and exceptional traction. Remarkably precise steering and sensitive handling. 2.75" x 21" Tube-Type 2-ply, radial design.